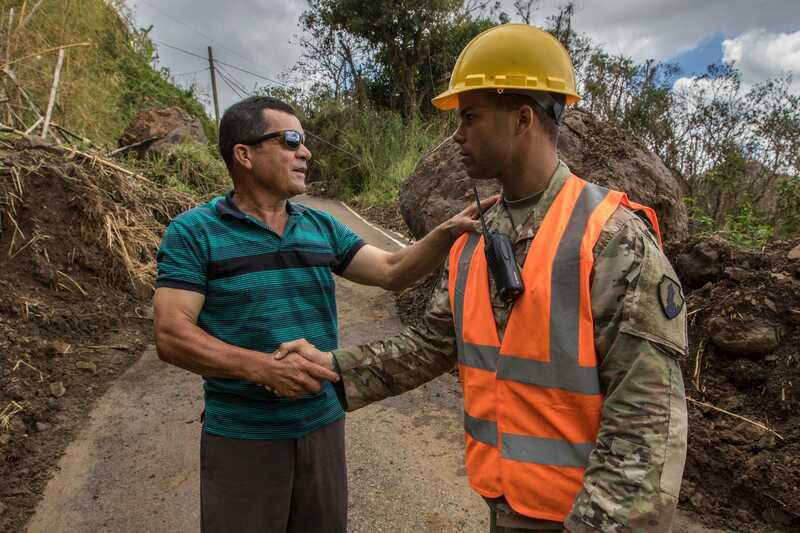 The US Army performs a variety of missions and duties all over the world every year – and 2017 was no different. 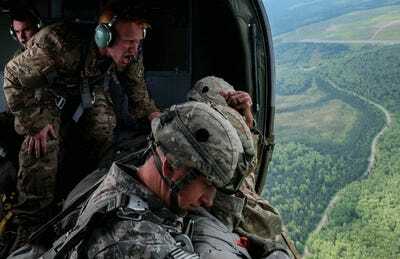 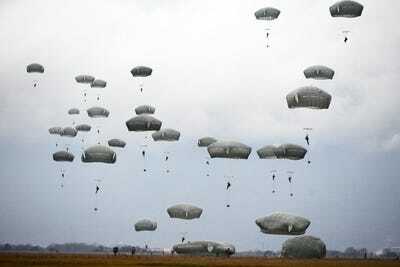 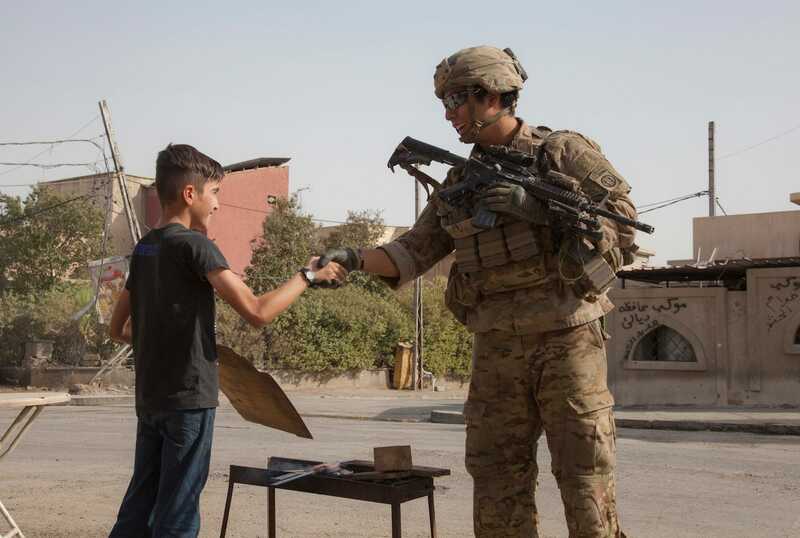 They provided relief to the victims of hurricanes that hit the mainland US and Puerto Rico, as well as artillery support as part of Operation Inherent Resolve. 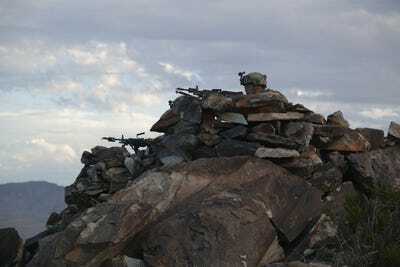 They suffered tragic losses in Niger and the Middle East, but also fulfilled a host of duties in calmer places in the world. 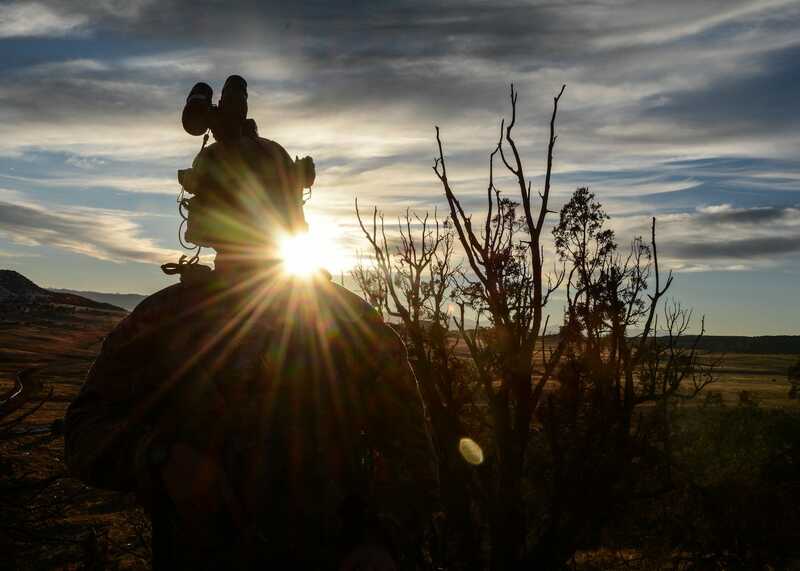 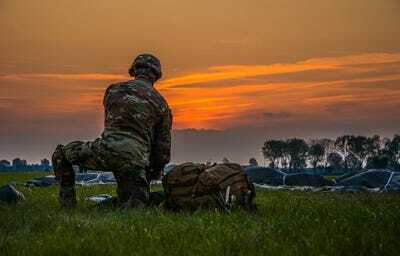 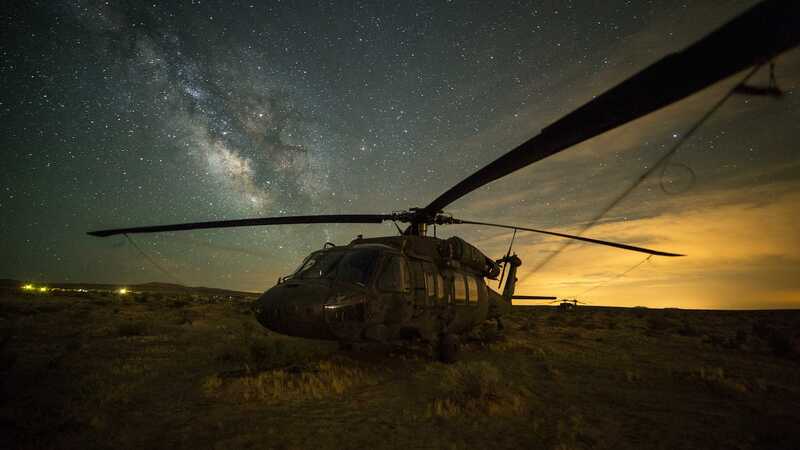 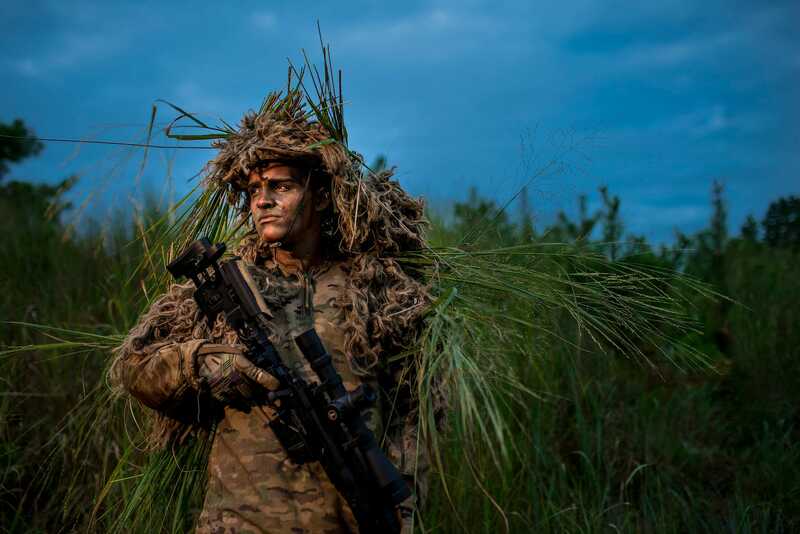 We rounded up some of the best US Army photos taken this year that highlight these events and missions. 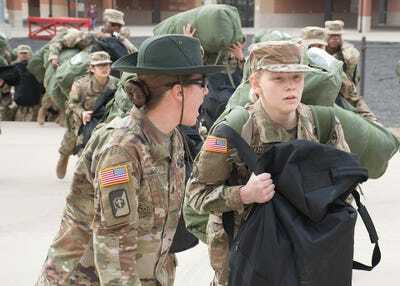 A US Army drill sergeant corrects a recruit during her first day of training at Fort Leonard Wood in Missouri on January 31. 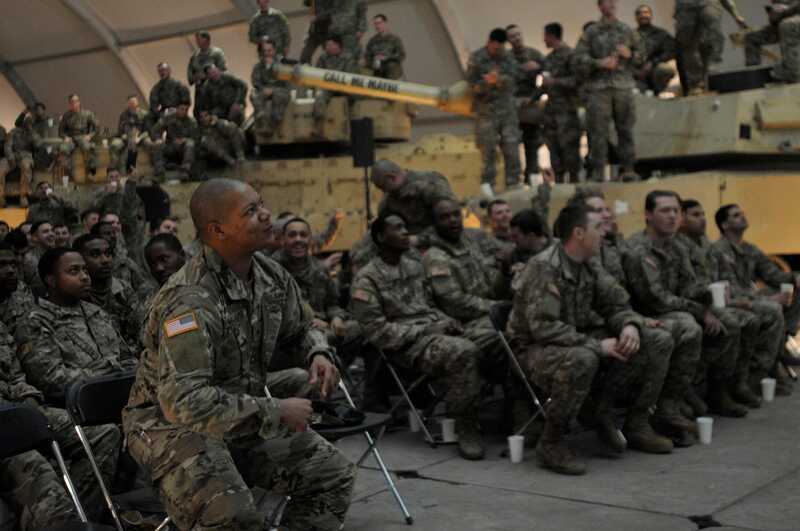 Soldiers with 3rd Armoured Brigade Combat Team, 4th Infantry Division, watch the Super Bowl in Karliki, Poland, on February 5. 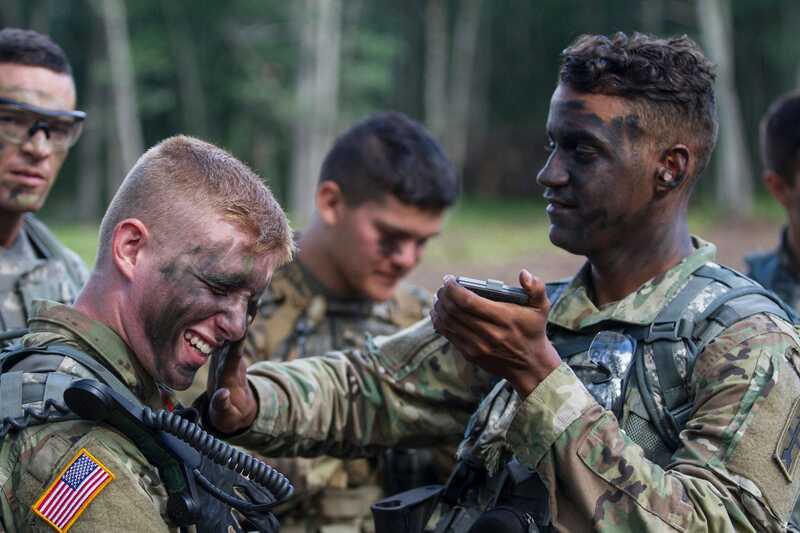 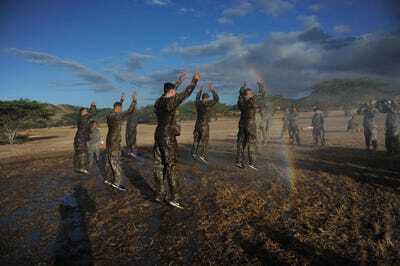 US Army Reserve soldiers participate in the 1st Mission Support Command Best Warrior Competition at Camp Santiago, Puerto Rico, on March 14. 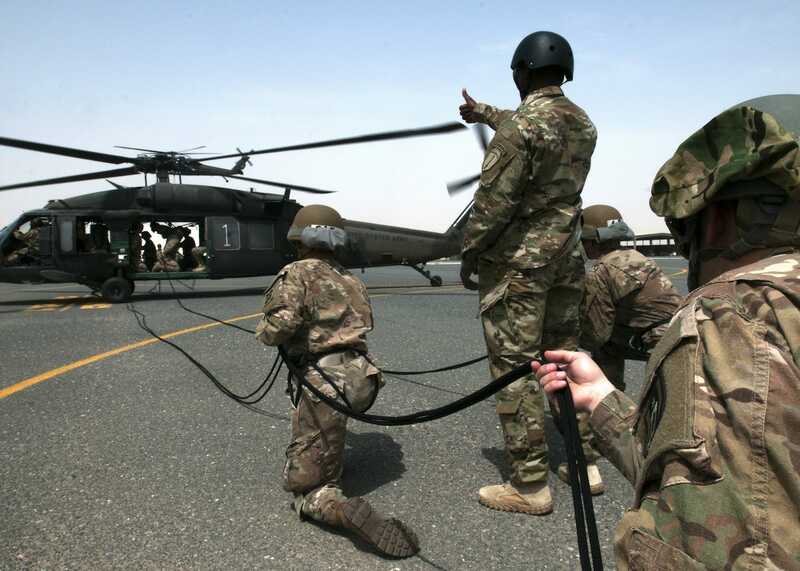 Air-assault recruits prepare to support their fellow students as they rappel from a UH-60 Blackhawk on April 13 at Camp Buehring in Kuwait. 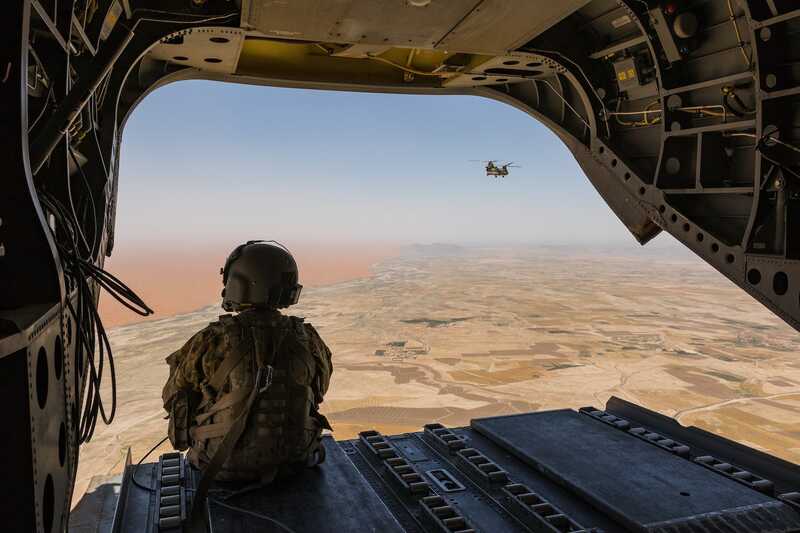 A CH-47 Chinook helicopter pilot deployed with Task Force Warhawk scans the Registan Desert in Afghanistan’s Helmand province on June 21. 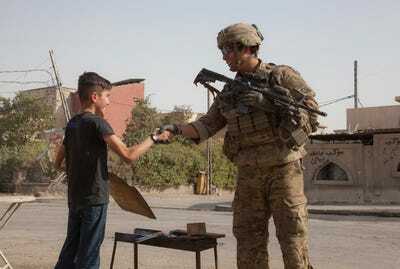 A paratrooper, deployed in support of Combined Joint Task Force Operation Inherent Resolve, shakes the hand of a young boy in Mosul, Iraq, on July 4. 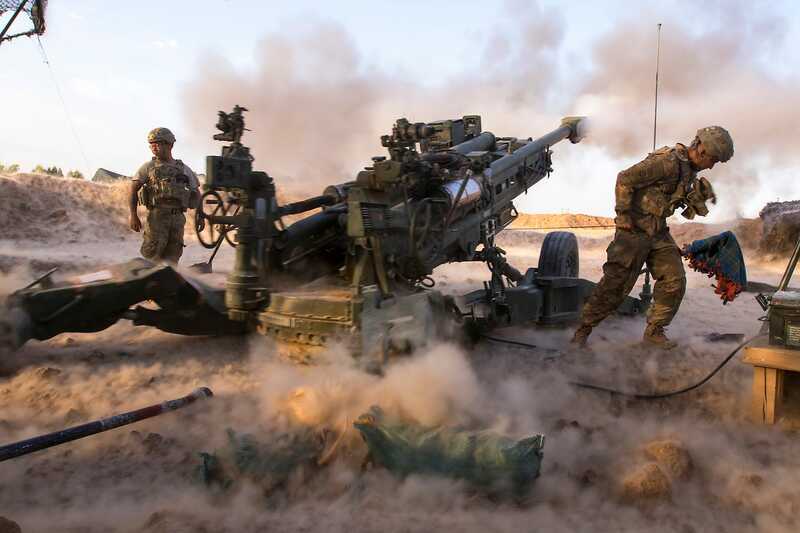 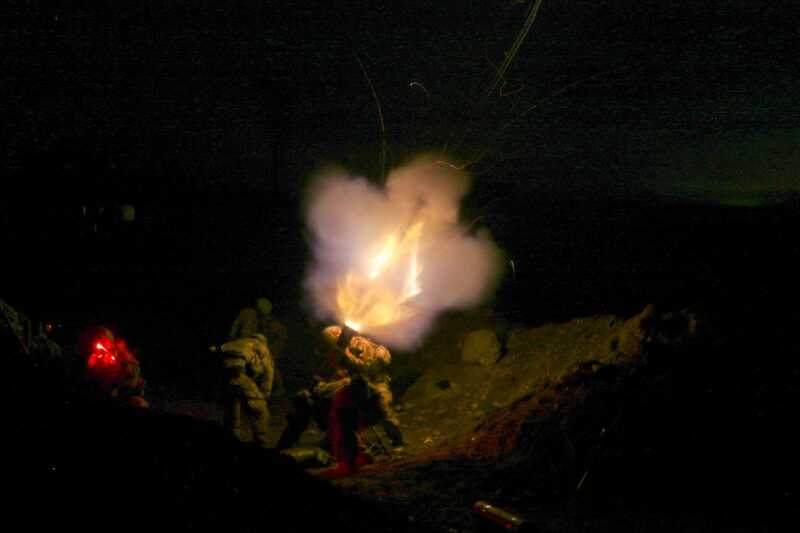 Paratroopers from the 82nd Airborne Division engage ISIS militants with strategically placed artillery fire in support of Iraqi and Peshmerga fighters in Mosul on July 5. 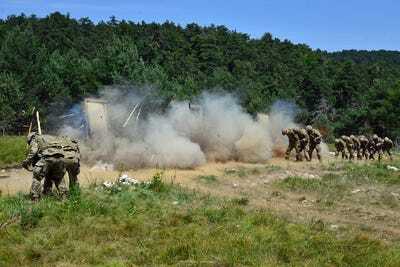 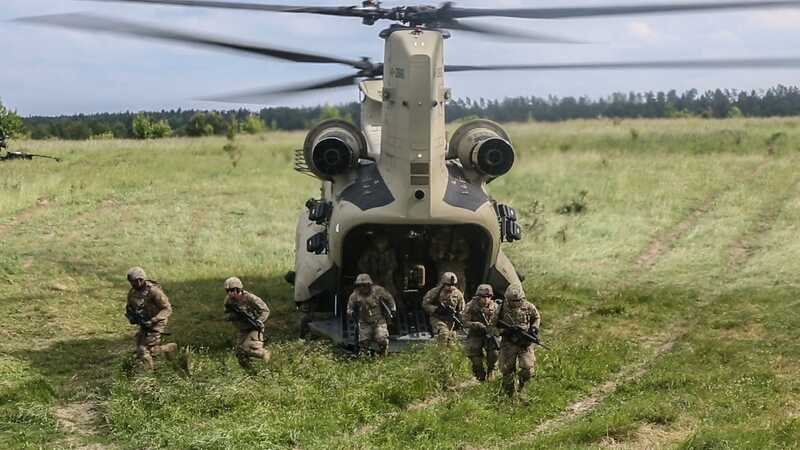 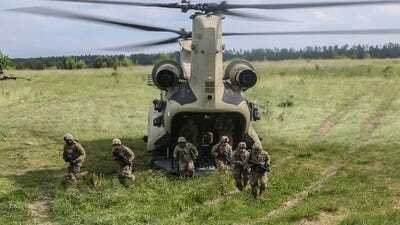 Paratroopers conduct urban-breach training at Pocek Range in Postojna, Slovenia, on July 20. 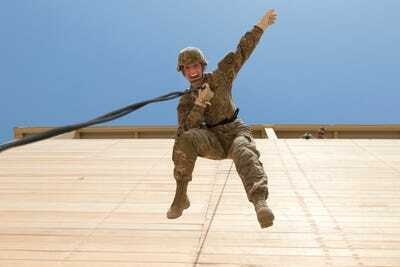 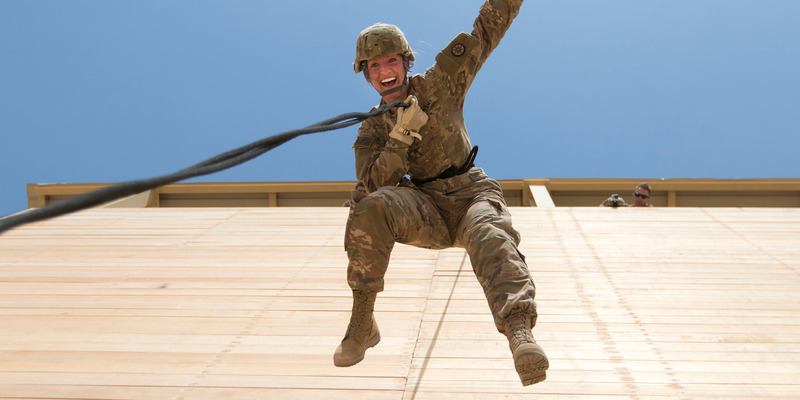 A US Army reserve soldier rappels down a tower during professional-development training at Camp Buehring on July 31. A shark swims under soldier at Point Defiance Zoo and Aquarium in Washington on August 10. 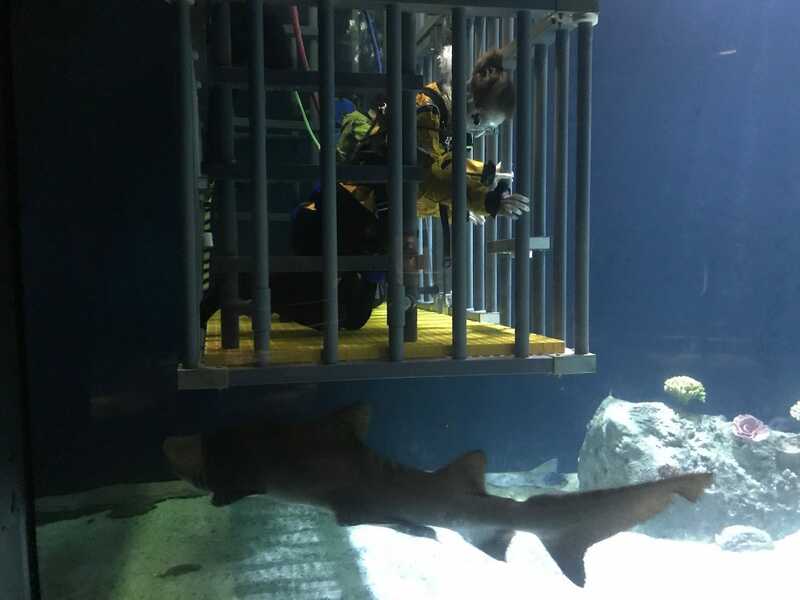 Operation Shark Dive is a program that gives ill, injured, and wounded soldiers the opportunity to swim with sharks. Paratroopers deployed in support of Operation Inherent Resolve kneel during a memorial service honouring two fallen paratroopers in northern Iraq on August 17. 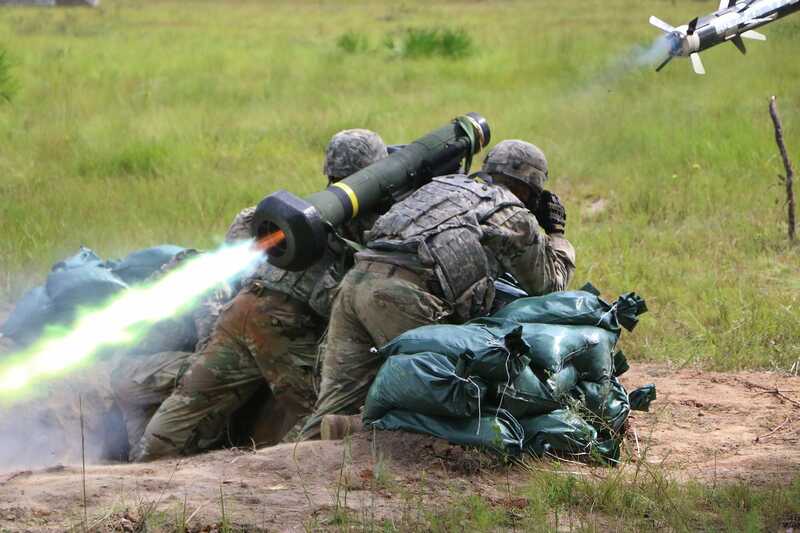 Soldiers fire a Javelin weapons systems at Fort Stewart in Georgia on August 23. Sgt. 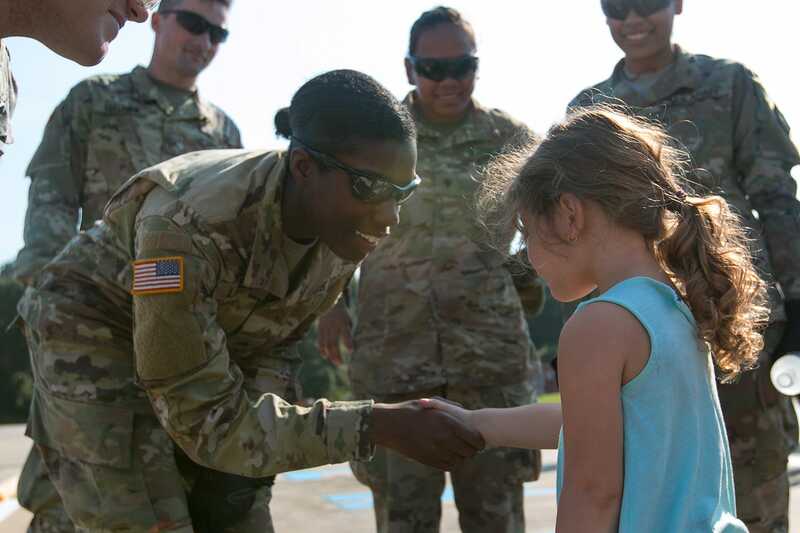 Samiera Lanier is greeted by a child after arriving at Liberty Fire Department in Texas on September 2 after Hurricane Harvey. 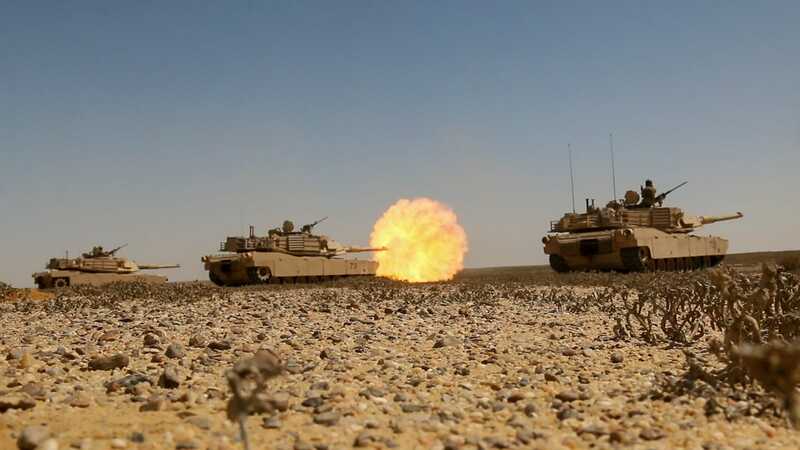 M1A2 Abrams main battle tank crews engage targets at a joint live-fire exercise at Mohamed Naguib Military Base in Egypt on September 20. A US Army reservist shakes hands with a local man while coordinating road-clearing operations in Puerto Rico after Hurricane Maria on October 7. 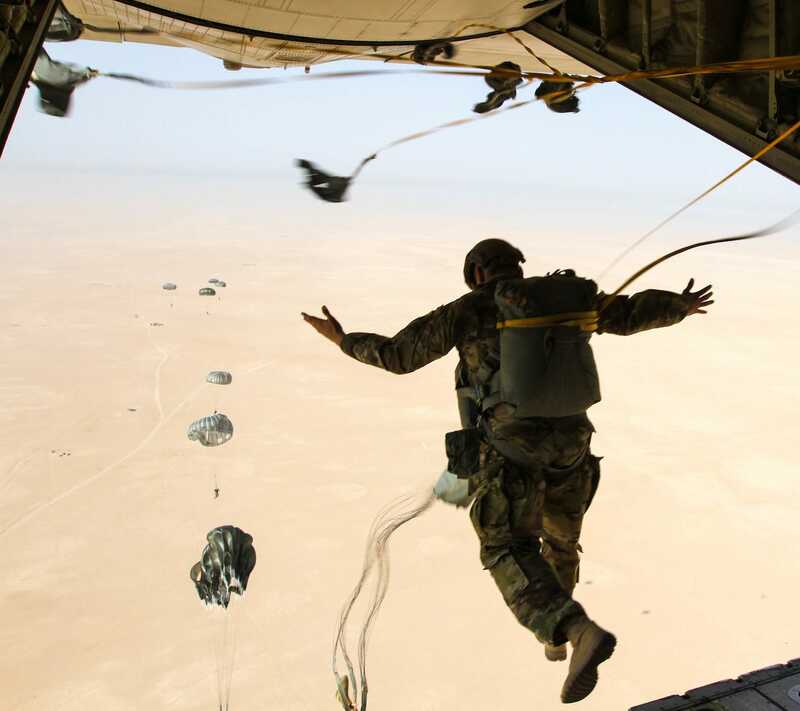 A K-9 handler for the Group Support Battalion 7th Special Forces Group leaps from the back of the aircraft on October 17. Myeshia Johnson, the wife of US Army Sgt. 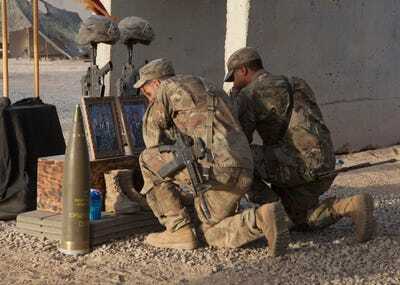 La David Johnson, who was among four special forces soldiers killed in Niger, kisses his coffin at a graveside service in Florida on October 21. 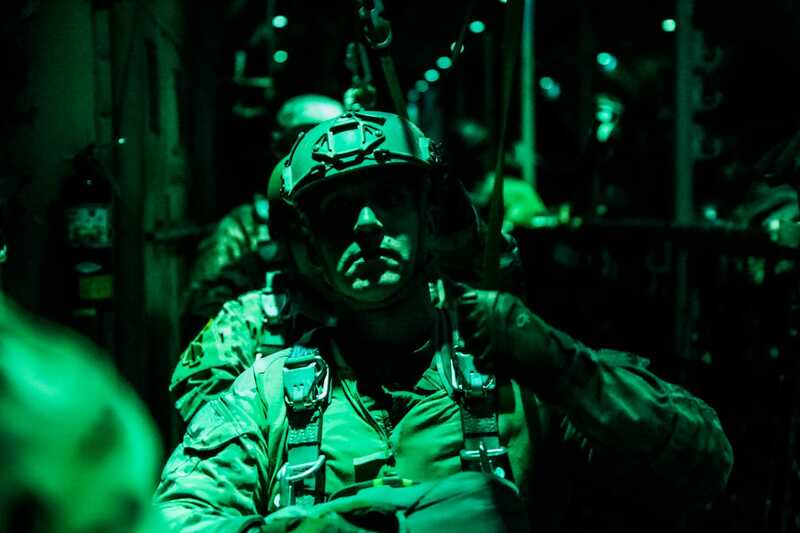 A US Army Green Beret stands ready to exit a C-130 Hercules aircraft during a night jump on October 24 at Fort Carson in Colorado. 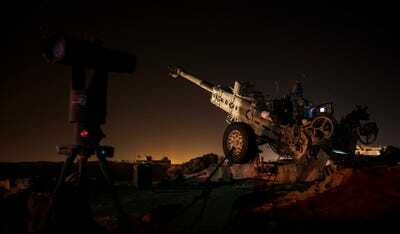 US Army Charley Battery waits after a fire mission in support of Combined Joint Task Force near Rawa, Iraq, on November 16. 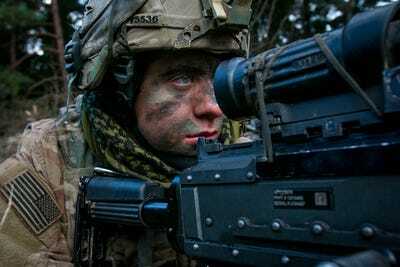 A soldier scans the terrain over the sights of his M-249 machine gun on November 18 during an Allied Spirit VII training event in Grafenwoehr, Germany.